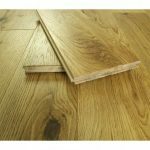 The benefits of Tongue and Groove Flooring? Tongue and groove flooring is the most traditional type of wooden flooring around. 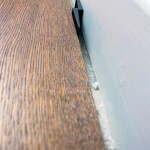 The term ‘tongue and groove’ actually refers to the fitting method. This entry was posted in Fitting Guide, Wood Flooring and tagged Floor fitting methods, Benefits of T&G, T&G floor, T&G hardwood, tongue and groove flooring on January 15, 2019 by Chris Elliott. 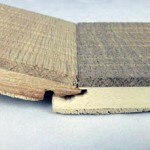 What is Structural Wood Flooring? This entry was posted in Fitting Guide, Wood Flooring and tagged installing over joists, load bearing wooden floor, fitting over joists, 18mm wood flooring, structural wood flooring on December 23, 2018 by Chris Elliott. This entry was posted in Fitting Guide, Uncategorized, Wood Flooring and tagged floated floor, loose lay floor, loose laid hardwood floor, fitting wooden flooring, engineered hardwood flooring, floating floor on November 19, 2018 by Chris Elliott. Hardwood flooring is reasonably durable and hard-wearing but there are some things you need to be mindful of. Wood is a natural product and will react to moisture and water from underneath and on the surface. 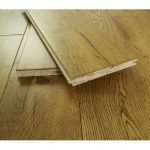 Both engineered wood and solid wood flooring are both at risk of moisture damage, but you can easily avoid any problems. 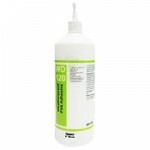 Here are the warning signs and ways to prevent moisture damage from occurring. This entry was posted in Fitting Guide, Wood Flooring and tagged dry subfloor, damaged hardwood flooring, hardwood flooring moisture, subfloor preparation, moisture meter on July 3, 2018 by Chris Elliott. The term ‘floating floor’ relates to the way which your hardwood flooring has been, or is going to be, installed. There are two main ways that you can install hardwood flooring. You can either fix your hardwood floor to the subfloor with glue, nails or screws. Alternatively you can float your floor over an underlay. This entry was posted in Fitting Guide and tagged floating hardwood, engineered hardwood, click fitting, floating wooden floors, loose laid hardwood floor, expansion gap, floating floor, underlay on May 22, 2018 by Chris Elliott. This entry was posted in Fitting Guide and tagged preparing subfloor, installation tips, installing wood flooring, fitting wood flooring, fitting hardwood, expansion gap on May 2, 2018 by Chris Elliott. This entry was posted in Fitting Guide, Wood Flooring and tagged click hardwood, click fitting, fitting hardwood, installing hardwood, fitting wooden flooring, hardwood flooring installation, benefits of hardwood flooring, Click System on March 12, 2018 by Chris Elliott. When you are buying a new hardwood floor it is important to think about the installation method you will use. 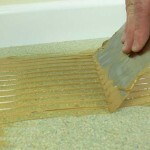 There are a few methods to choose from, including: floating over an underlay, gluing down, nailing down or screwing down. 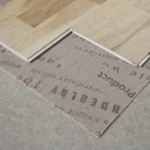 The method you choose is usually dependent upon the type of flooring you are buying and your existing subfloor. This entry was posted in Fitting Guide and tagged subfloor preparation, expansion gaps, wood floor adhesive, floating wooden floors, wood flooring glue, fitting hardwood, installing hardwood, loose laid hardwood floor, floating floor, secret screwing, secret nailing on January 24, 2018 by Chris Elliott. 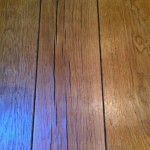 This entry was posted in Fitting Guide and tagged fitting tongue and groove flooring, tongue and groove wood flooring, wood flooring adhesive, wood flooring glue on May 29, 2016 by Chris Elliott.